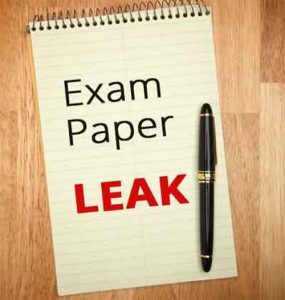 The Law Society of South Africa (LSSA) and the Examination committee, today decided that based on the leaks of the attorneys admission examinations, all four (4) papers should be rewritten in October 2018, with the exact dates to rewrite the examinations to be confirmed. The Councils of the statutory Law Societies are requested to confirm and inform their members and candidate attorneys accordingly. The LSSA has taken this decision to protect the integrity and reputation of the profession. The LSSA acknowledges that many Candidate attorneys did not participate in this unethical and unprofessional conduct and apologises for the inconvenience caused. Investigations are ongoing to determine the source of the leaks and those persons involved. The LSSA will ensure that appropriate action will be taken against any Candidate who was complicit in the leak. A national hotline will be established for individuals to act ethically and do what is right by making anonymous disclosure of any examination leaks or information as to the circumstances which lead to it.